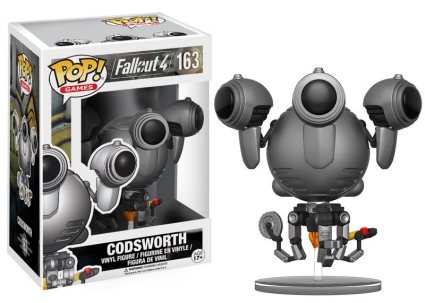 Offering the next batch of options for the video game franchise, Funko Pop Fallout 4 includes multiple figures and different release waves. 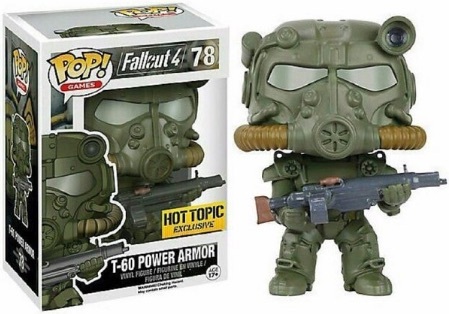 Fallout 4 picks up 210 years after the Great War in a post apocalyptic role-playing game. 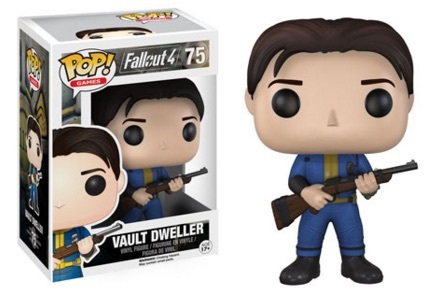 Sole Survivor of Vault 111 is the main character and the game is the follow-up to Fallout 3 from 2008. 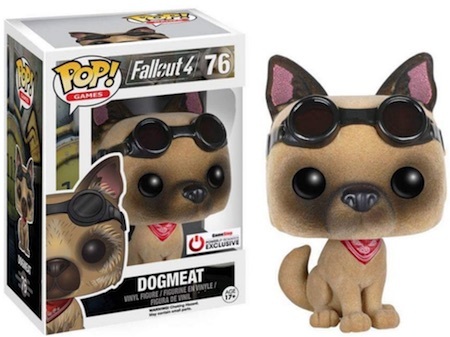 The initial set includes figures for Sole Survivor as Vault Dweller and his faithful canine companion, Dogmeat. 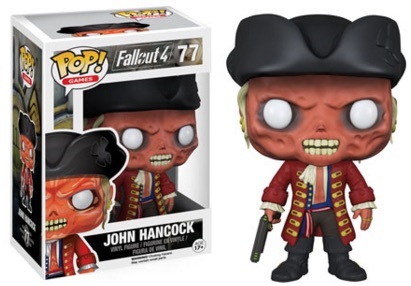 John Hancock is also featured. 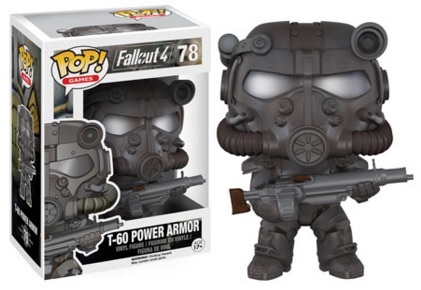 Finally, T-60 Power Armor offers a more intimidating version of Sole Survivor. 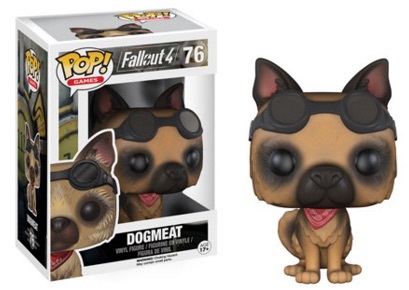 Exclusives build on that with additional choices for Dogmeat and T-60 Power Armor. 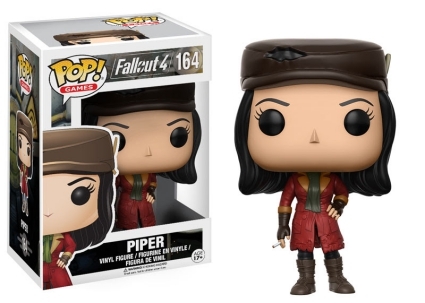 See also: Complete Funko Pop Fallout Figures Checklist and Gallery. 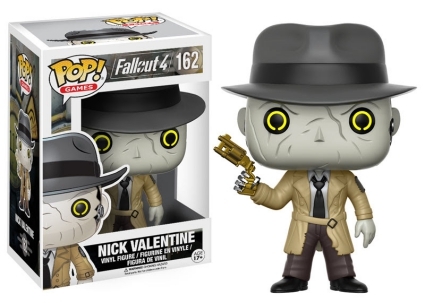 Series 2 for Funko Pop Fallout 4 goes even deeper into the game with figures for companions Nick Valentine, Paladin Danse and Piper. 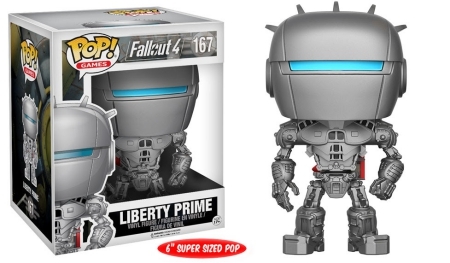 A pair of robot figures are available for both Codsworth and the Super Sized 6" Liberty Prime. 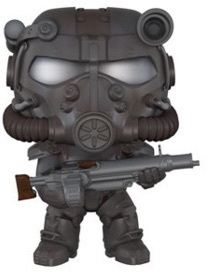 The standard versions are joined by exclusive variants. 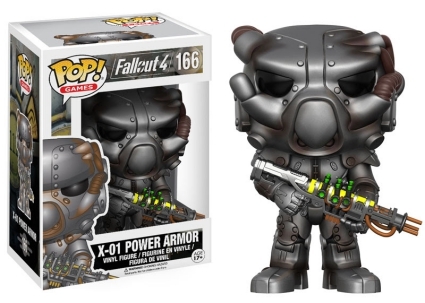 If you are interested in checking out the game, view the Fallout 4 options on Amazon for Xbox and Playstation. 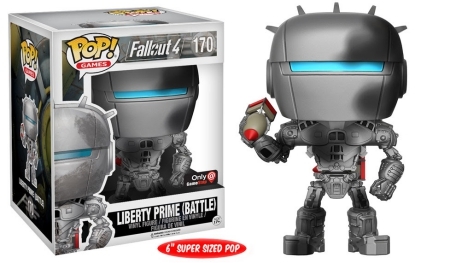 The release is numbered as part of the Pop! 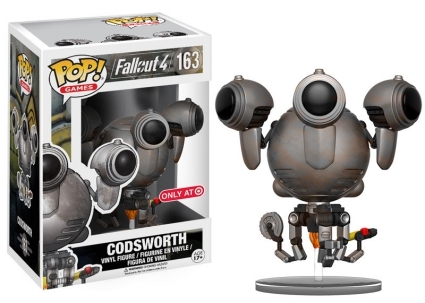 Games line and the figures are each approximately 3 3/4" tall. 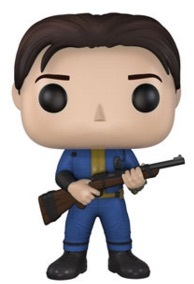 Little error here, Hancock can be a enemy, like any NPC, but he isn’t a “main enemy”, because he can be your companion and everything. 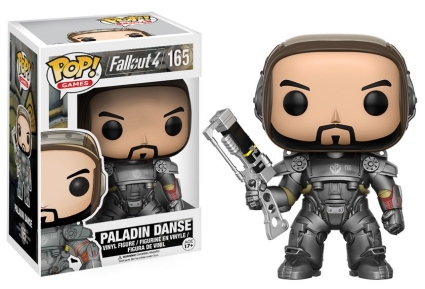 I would describe him as a anti-hero.